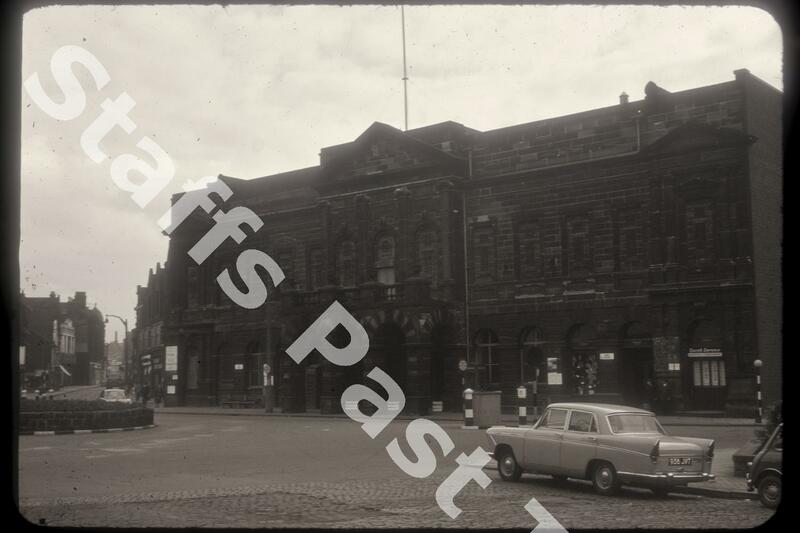 Description:This photograph shows Longton Town Hall on Times Square, looking towards Market Street. Times Square was the original market square in Longton and laid out in 1789. This is Longton's second Town Hall, the first built in 1844 and this one built on Times square in 1863, extended in 1867 and 1912. The portico at the front dates from 1867. 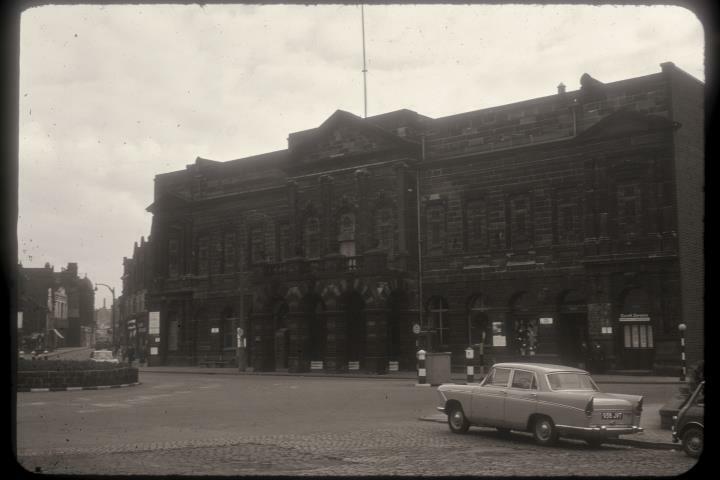 In 1985 there were plans to demolish the building but the building was saved and given Grade II listed status. Behind the town Hall and attached to it is Longton Public Market. In the foreground there are some of the old setts used to surface the streets.